Jackson, Mississippi, is one of the best vacation destinations in the South due to its many activities, events, and attractions. If you’re visiting this city, you’ll find such a wide variety of things to do, you might have trouble choosing what to try first! One attraction you don’t want to skip is the Cathead Distillery in Jackson, MS. Discover everything there is to do here and add it to your vacation itinerary today! Stop by the Cathead Distillery on Thursdays and Fridays from 3:00 p.m. to 6:00 p.m. and Saturdays from 1:00 p.m. to 6:00 p.m. to taste some of the finest vodkas! This distillery uses the latest technology to create some truly unique vodka made from sweet grain corn. Some of their most famous concoctions include the Cathead Flavored Honeysuckle Vodka, Cathead Pecan Flavored Vodka, Hoodoo Chicory Liqueur, and Bristow Gin. Cathead Distillery tours take you on a behind-the-scenes journey to show you how these incredible beverages are created. A knowledgeable staff member will guide you around this spacious establishment and teach you the secrets of the vodka-making process. In addition to serving as a fantastic place to relax and have a drink, the Cathead Distillery also hosts a variety of events and entertainment to engage the community. Dinners, live music, and happy hours are just a preview of what goes on here. Be sure to “Like” their Facebook page so you can stay up-to-date on their upcoming events and parties! You can also rent the Cathead Distillery for a private party or event. If you can’t get enough of the outstanding taste of the Cathead Distillery products, there’s good news: you can take it home with you by buying a bottle or two in their store! They also have a variety of cool T-shirts, hats, mugs, and more that you can purchase to remember your trip here. You can also buy Cathead vodka online! After exploring some of the best attractions in Jackson, MS, complete your experience by treating yourself to a stay in the finest accommodations possible! Fairview Inn is the perfect place for you to unwind; our bed and breakfast in Jackson, Mississippi, not only offers comfortable rooms and suites, delectable dining, private lounge, library, and game room, but we also have our very own spa for you to enjoy. Choose from exploring the many attractions of downtown or simply reveling in the comforts of our cozy inn and its relaxing, peaceful environment. You’re bound to love what we have to offer in our rustic haven of Mississippi, so don’t hesitate another moment; check our availability and book your stay today! 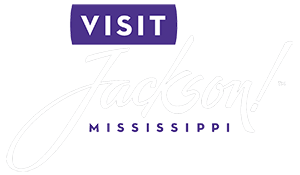 To learn more about the many things to do in Jackson, MS, like visiting the Cathead Distillery, download our free Vacation Guide!